SCMS Award Winner "Best Edited Collection"
The standard analytical category of "national cinema" has increasingly been called into question by the category of the "transnational." 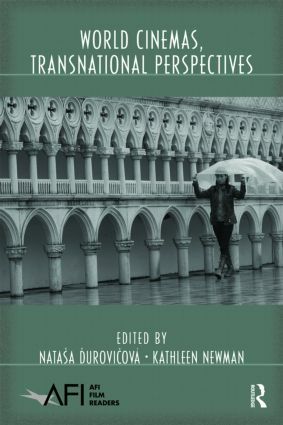 This anthology examines the premises and consequences of the coexistence of these two categories and the parameters of historiographical approaches that cross the borders of nation-states. The three sections of World Cinemas, Transnational Perspectives cover the geopolitical imaginary, transnational cinematic institutions, and the uneven flow of words and images.